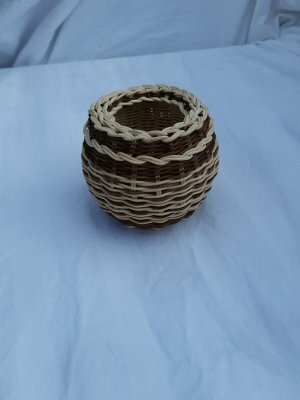 I weaved a Cherokee double wall basket with commercial reed and dye. 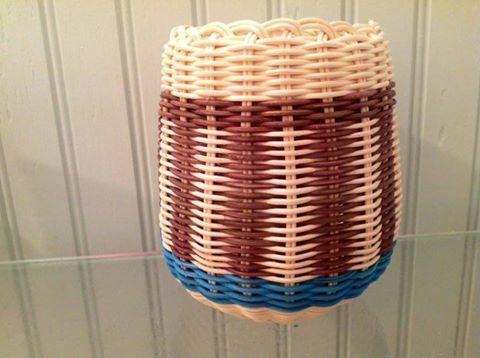 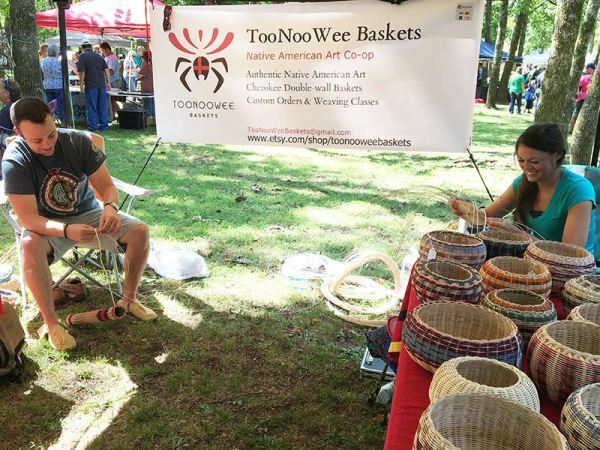 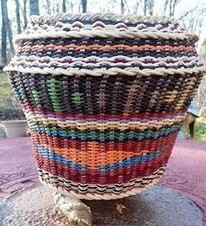 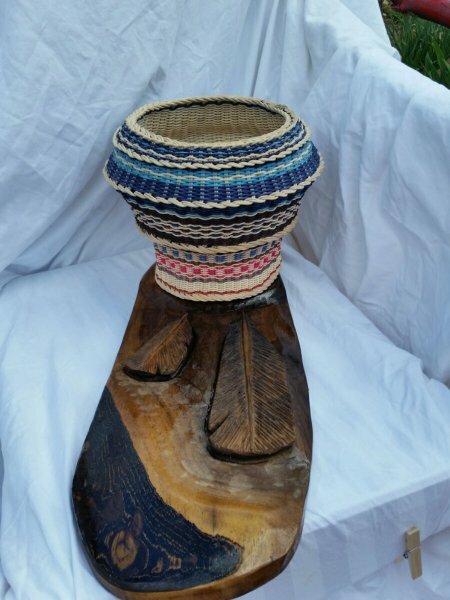 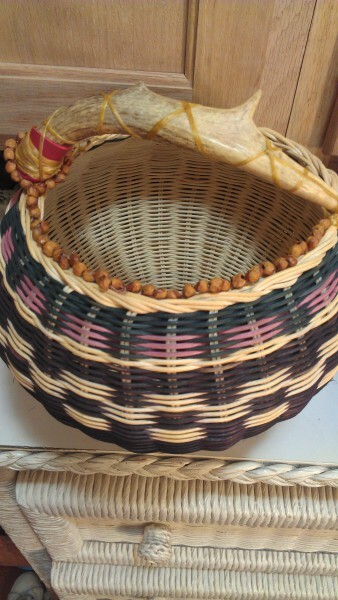 This basket won the People's Choice award at the Trail of Tears Art Show, April 2015. 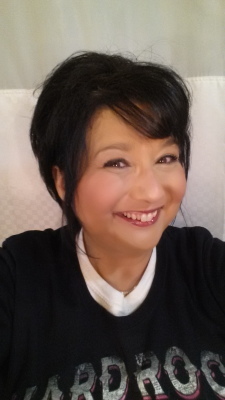 It was an honor to be voted and there were many beautiful art pieces well represented. 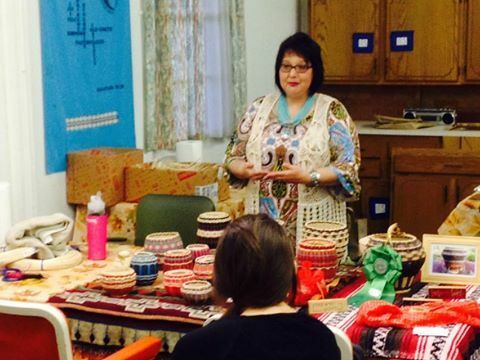 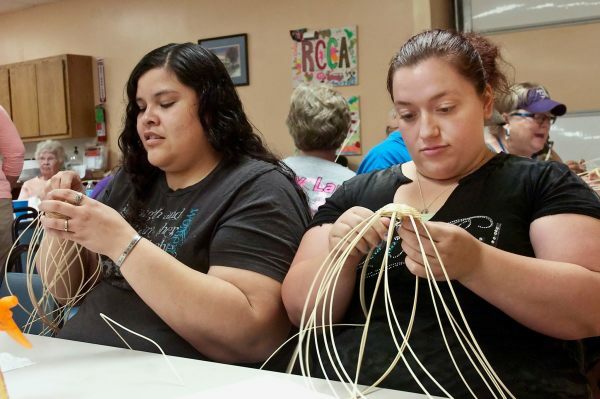 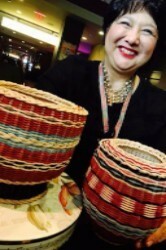 Cherokee basket weaver, Regina Thompson talks of history, baske tweaving, grandmother and her mentor, Bessie Russell, while showing some of her marvelous creations, Sunday afternoon at the Rogers County Cherokee Association meeting.